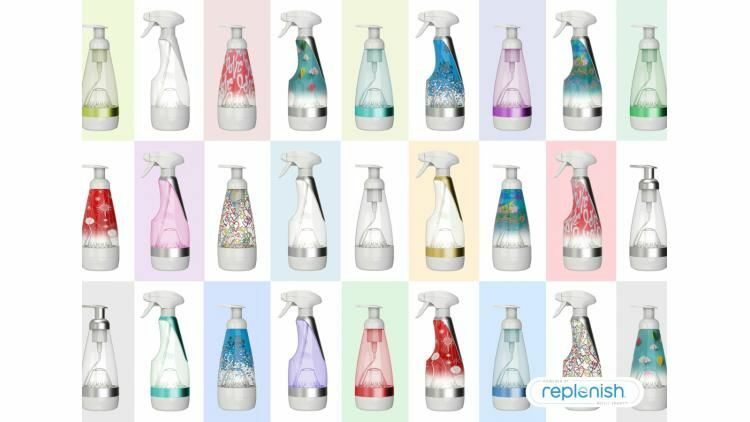 Replenish, which is known for its concentrated cleaners, teamed up with Amazon to create Clean Revolution, a line of eco-friendly cleaners designed for e-commerce. 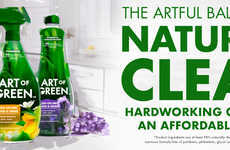 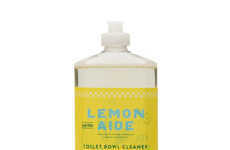 One of the main problems with many household cleaners—including the ones that are sold in stores—is that water is included as the first ingredient, yet cleaner concentrates, refill pods and reusable bottles provide an alternative that saves valuable storage space and significantly reduces shipping costs. 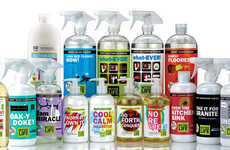 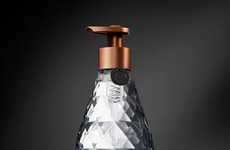 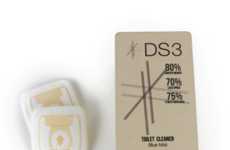 Products from Clean Revolution, such as its Reusable Spray Bottles and Multi-Surface Cleaner Pads, are sold in unbleached cloth secondary packaging that has the potential to be reused for other purposes. 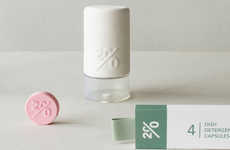 The refillable bottles are compatible with refill pods that attach to the base and are activated by pressing the bottom of the design to release the concentrate into the tap water that's added by the consumer as needed.